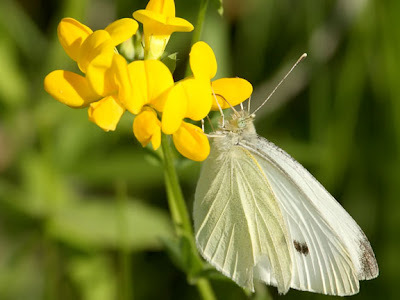 The cabbage white is a common site in most of the U.S. and Canada during the summer, however it is not a native species to North America. 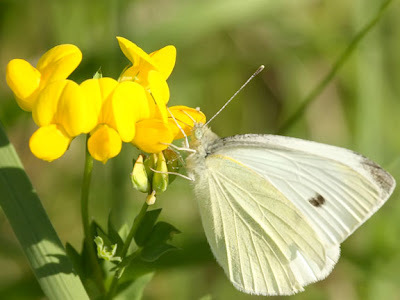 The cabbage white is a native of Europe, Great Britain, Asia and North Africa. It was accidentally introduced into Canada in 1860. By 1885 the cabbage white had extended its range across most of North America. The cabbage white gets its common name from the fact that cabbage is one of the larval host plants. The larva will eat most species in the mustard family including cauliflower, radish, kale, broccoli and mustard greens as well as wild mustard species such as charlock. Because much of what the larva eats are cultivated crops, farmers often try to control their population with either chemical or microbial pesticides. Excellent and nice macro photos. fantastic shot and interesting post! Fabulous shots of this butterfly. We had a lot of them in this area this summer. Dang birdsfoot trefoil. Beautiful capture, but I'm not a fan of the plant as it makes my goats' milk taste bad. 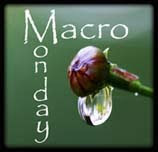 what a terrific macro shot!